Cisco, Dell EMC and Hewlett Packard Enterprise (HPE) were the top three infrastructure vendors of 2017 according to research firm, Canalys. The three vendors accounted for 50 per cent of the US$142 billion total worldwide shipments, which includes servers, storage and networking products. “Cisco’s dominance in networking helped it maintain its lead of 20 per cent in the overall infrastructure market. Its focus is on moving its predominantly hardware-centric customer base to software and subscriptions,” Canalys principal analyst, Matthew Ball, said. “Dell EMC completed its first full year of operations, following the US$67 billion merger in September 2016, making it a leader in servers and storage. It grew its share of infrastructure shipments to 15 per cent and was one of the fastest-growing vendors through the channel," Ball said. According to him, HPE followed with 14 per cent share of the infrastructure shipments. The year of 2017 saw a seven per cent growth compared to the previous year driven by strong servers growth, said Canalys. Several factors contributed to that including the increase in DRAM (dynamic random-access memory) component costs and demand for higher server specifications. According to Canalys, that led to application service providers "increasing faster than unit shipments". Other reasons include data centre expansion led by hyper-scale service providers and the launch of Intel and AMD new processors, which resulted in a refresh cycle. All of this resulted in a US$66 billion server shipment value. Enterprise routing fell nine per cent. According to Canalys, the channel also saw a strong year reselling servers, storage and networking representing 74 per cent of the worldwide shipments. However, direct sales showed faster growth. “But direct grew faster, due to the increasing role of Chinese and Taiwanese ODM server vendors selling large volumes to cloud service providers. 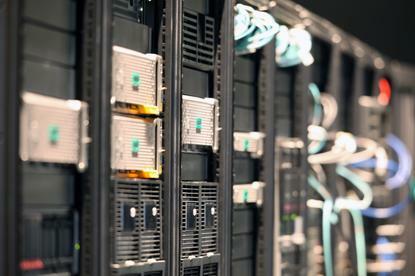 Direct accounted for 34 per cent of server shipments, compared with 19 per cent for storage and 20 per cent for networking," Ball said.